An elegant interior with huge vanity table. 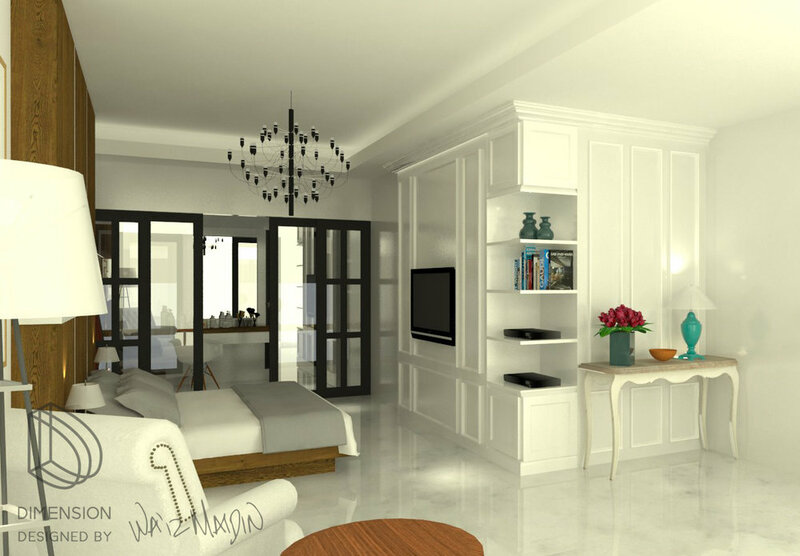 Mostly in white and panelling throughout the feature wall. 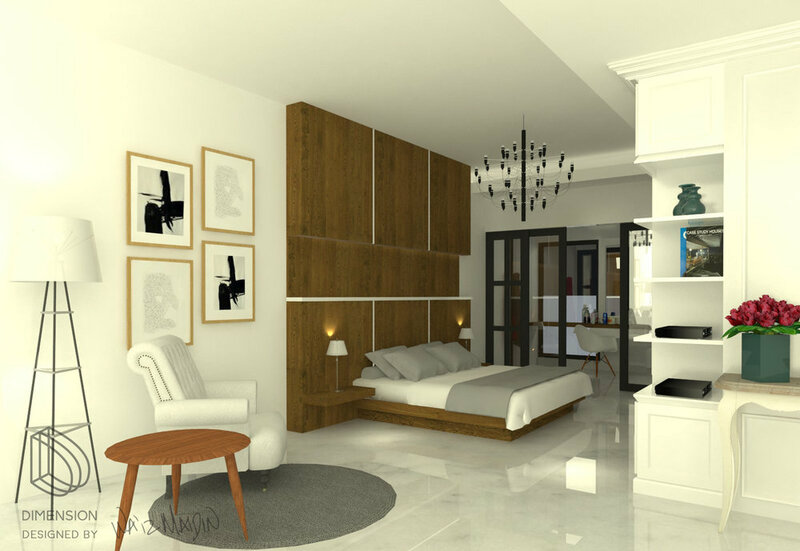 Huge glass sliding door to compensate the small number of windows in the room to let sunlight and air pass through from the big vanity and walk in closet to the bedroom and not to forget the great over the hill view just outside the window.